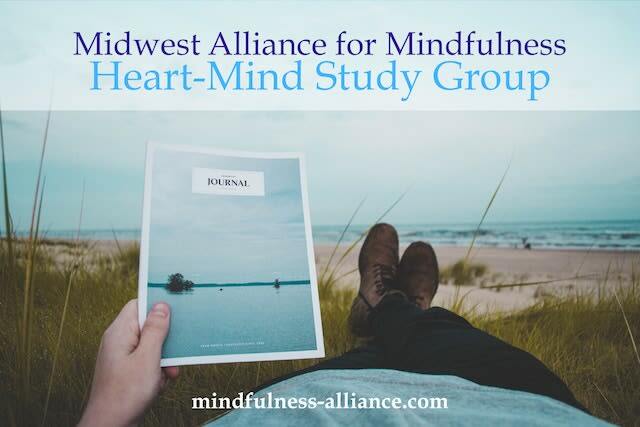 In support of our values of community and education, Midwest Alliance for Mindfulness (MAM) teachers offer focused group learning opportunities on a variety of mindfulness-related topics. Group meetings include discussion, practice and inquiry. Some topics may include a book, which you may purchase on your own or though MAM. Locations vary by topic. Fees are $10 per meeting for members and $15 per meeting for non-members. Once you purchase a pass, register for the Heart-Mind Study Group meeting you wish to attend on the calendar.